So, I got to thinking about what I could make for her that she could play, collect, and keep busy with while keeping on a budget. I have an unnecessary amount of clothespins laying around and no clothesline. Don’t ask! I don’t have an answer for it either. 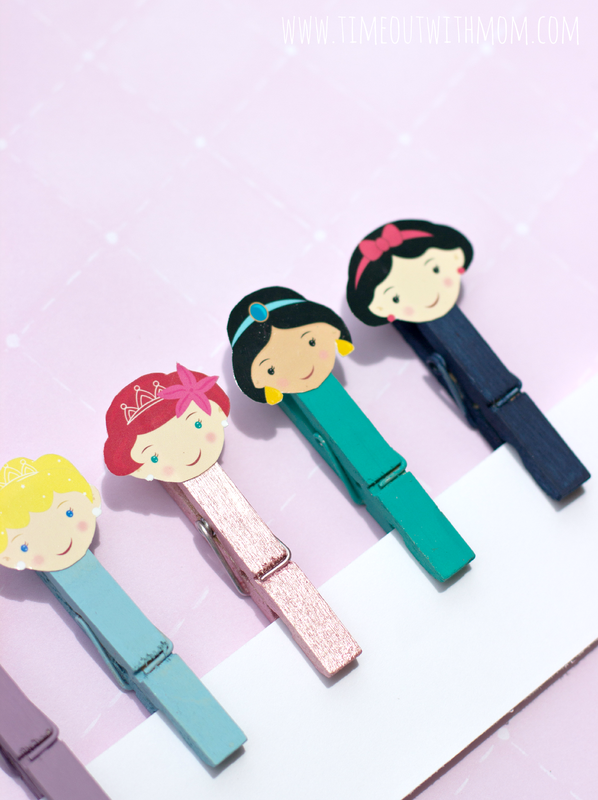 But I figured, since she has such a great imagination and loves to collect, why not make her a set of little princess dolls out of those clothespins. 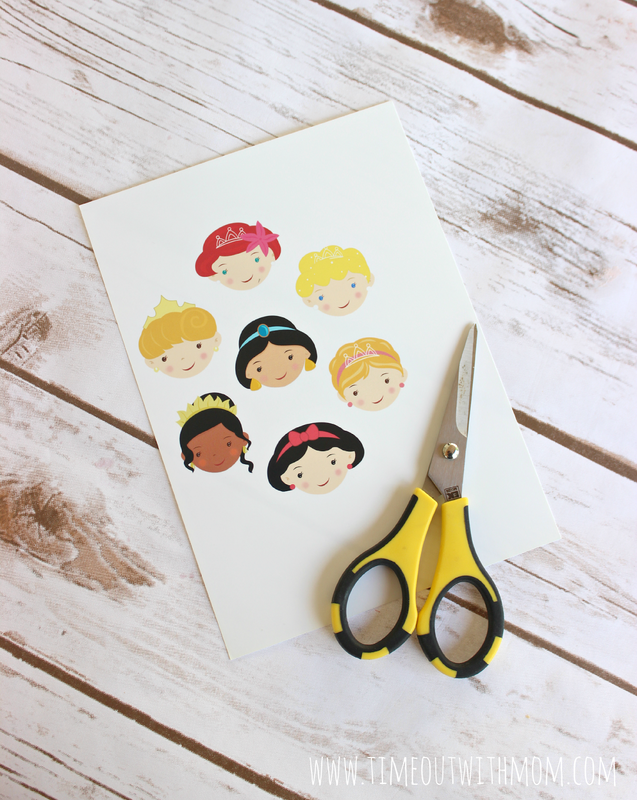 I opened up all my princess clip art, worked a bit in Photoshop so I could just include their heads, printed, cut them using my EK Success Precision Scissors, painted the clothespins with acrylic paint to match the dress they would have been wearing and I glued their heads on with regular white glue. They came out so cute and Bunbun absolutely loves them! I certainly hope your little girls will like them too. I look forward to making additional sets for her and possibly my little guy in the future. Of course, I will share them with you all as well. 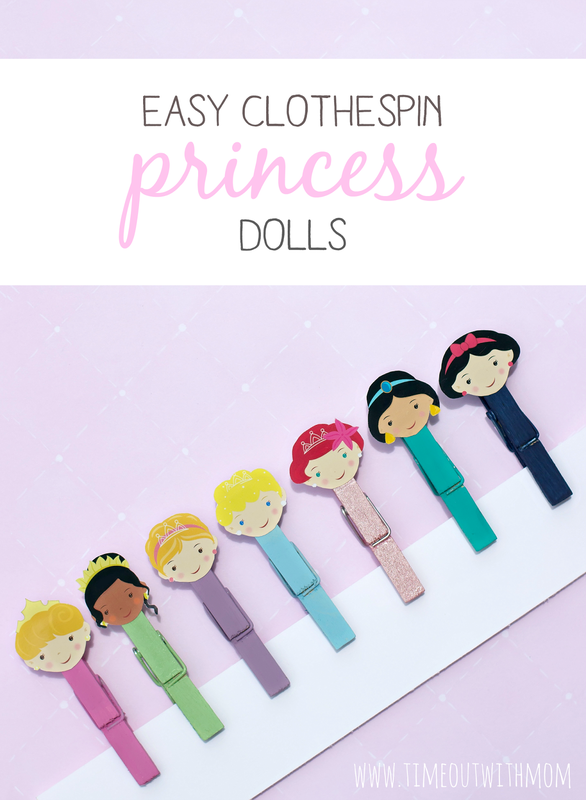 To print my princess sheet and make your own clothespin dolls; Download Here and Enjoy! Let me know what your little one thinks of these and if she has any suggestions for future dolls. I’d love to hear from you! *Made to print on 8.5″x11″ for quick printing. These are absolutely adorable and so creative! What a cute way to make clothespins fun! the link isn’t working. Is there a way to still get these? Hi Amanda! The third party site I used to upload these is currently undergoing maintenance. They will be available as soon as their maintenance is complete. Thanks!